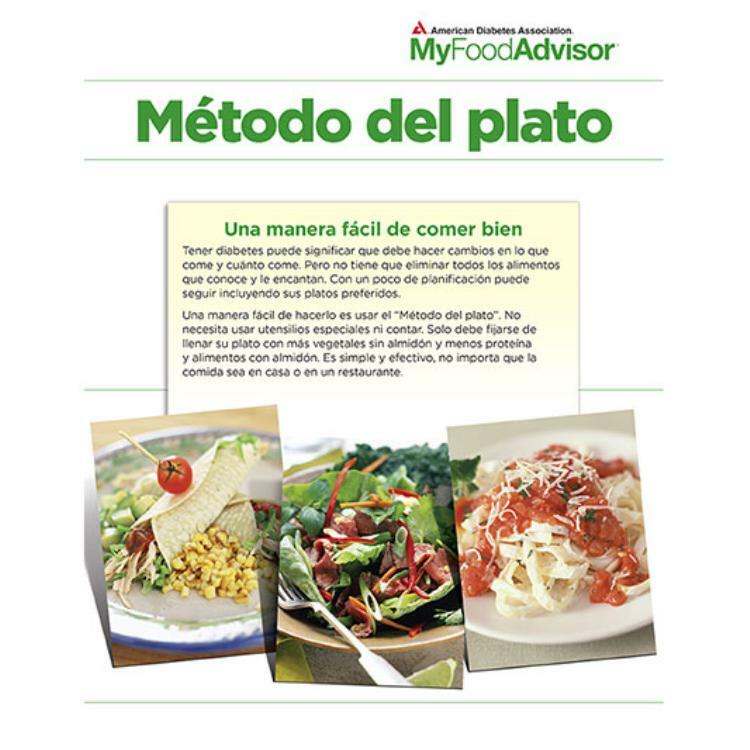 Spanish language brochure featuring a two-page layout of the plate method for diabetes meal planning. Great for newly diagnosed patients or those needing a simple meal planning technique. 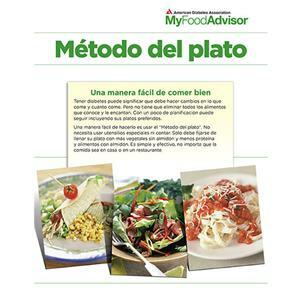 Also includes simple messaging on types of fats to eat and substituting sweets for other carbohydrate in a meal plan.